Invoice Processing – Is it working for you or against you? Ask a range of people working within any business the challenges they face and you are likely to receive a multitude of responses. Any finance department handling volumes of purchase invoices knows the value of high speed accurate processing. With so many transactions still paper based or even electronic via pdfs this remains a time consuming and distinctly manual process. Around 90% of UK business has the ability to send Invoices by email (saving the 67p postage), however over 70% of those businesses still print and process invoices manually. Data entry and authorisation involves physical paper and ink! As we all know the actual process of supply is a relatively easy concept to describe, I ask someone to supply me some good or services, I check to see I have received them, the price is as agreed, I then pay. Now before everyone cries “yes, but” we all know there’s more involved. For one, the more I order, the greater the time involved, the greater the number of suppliers the more time involved, the more dispersed my business, the more time is involved, the more complex the coding and approval, the more time is involved. In short I can multiply the time required to pay invoices by any number of factors. As we have just described, the “Purchase to Pay” (P2P) process requires intervention at many junctures, each one requiring an action which in turn add up, increasing the administration costs, slowing the payment process, which in turn leads to poorer supplier relations and settlement terms. With the right Invoice Processing solutions however, you can cut through this, streamlining the way your finance department works. Tried and tested solutions now extract and validate invoices as they arrive even though they vary by supplier. 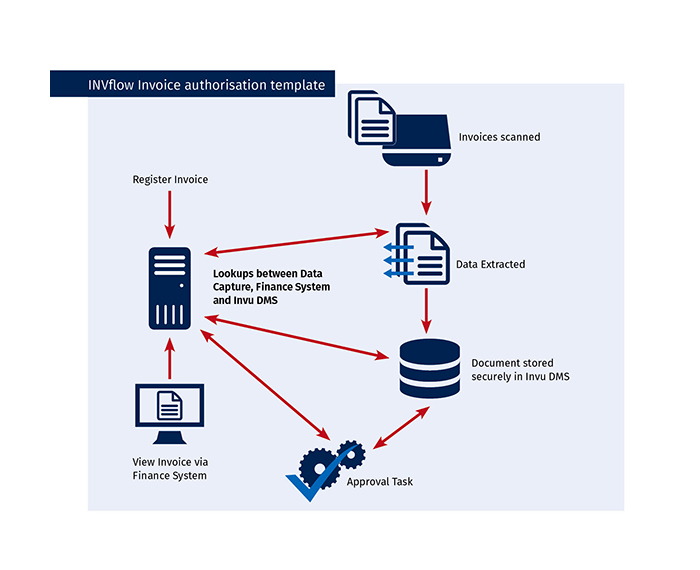 This translates information contained within the invoice into digital data which can then be uploaded into any finance system. By integrating with your in-house Finance/ERP system, the solution forms the basis for automated matching authorisation system. Many organisations from manufacturing to construction, retail to care services have adopted these pragmatic solutions which have transformed the way they work. If you are looking for a solution that not only saves time, money and improves staff morale, but actively allows your business to grow, then these three easy steps will provide everything you need.